Australian rugby features a brand new piece of silverware, with the introduction of the Horan-Little Shield to the National Rugby Championship. The Australian Rugby Union launched the 2015 Buildcorp NRC at Ballymore Stadium on Wednesday as a curtain-raiser for the opening game of the season between the inaugural champions, Brisbane City, and Perth Spirit in a re-match of last year's grand final. The ARU also announced the introduction of two exciting initiatives, namely the Horan-Little Shield named after Wallabies legends and great mates Tim Horan and Jason Little, and November fixtures between the Australian Barbarians and a New Zealand Heartland XV. 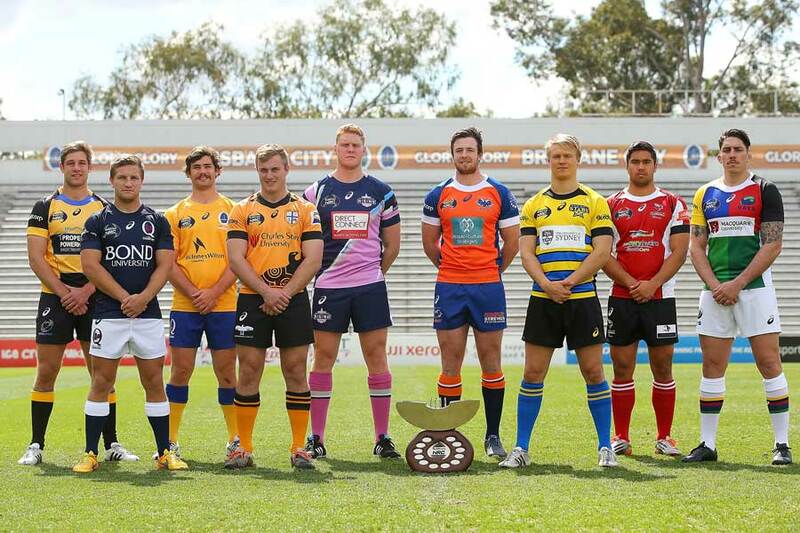 The Barbarians side will feature NRC players who were not contracted to Super Rugby franchises in 2015. The Horan-Little Shield has been introduced as a competition akin to New Zealand's fabled Ranfurly Shield, with the holders to put the trophy up for challenge at every home game of the nine-week regular season. Melbourne Rising, the 2014 minor premiers will be in possession of the Horan-Little Shield for the start of the 2015 campaign having been undefeated through the regular season last year. Holders of the Horan-Little Shield may choose to accept challenges when they play away fixtures, but are not obliged to do so; the Rising have confirmed the shield will be put up for grabs when they face Queensland Country on the Gold Coast in round one on Sunday. If the holders win two consecutive home games, or challenges, the trophy is then automatically up for challenge for each subsequent game they play at home or away, while only the name of the team holding the trophy at the end of the regular season (or finals game if they choose to play for it) will be engraved on the shield. The Australian Barbarians will contest a two-match series against New Zealand Heartland XV, selected from uncontracted Super Rugby players playing in the Heartland Championship. "The Horan-Little Shield will give clubs another opportunity to win and show off some silverware while I'm sure the composition of the Australian Barbarians squad to tour New Zealand will be the source of plenty of discussion," Rob Clarke, ARU General Manager Professional Rugby said. "These new initiatives for season two of the Buildcorp NRC will generate significant interest and excitement around the competition."